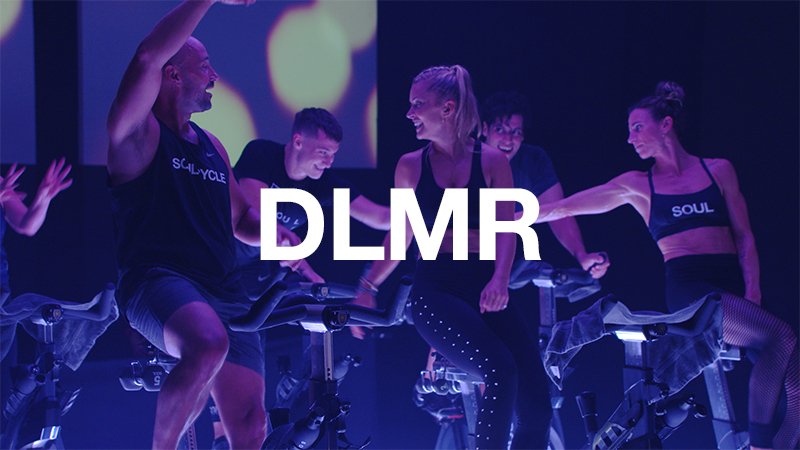 Since 2012, I had always dropped into a class here and a class there, trying every indoor cycling studio in Manhattan. My dear friend, Malini, an avid SoulCycle rider, moved with her entire family to Singapore and continues to live there as an expat. Every summer she returns to NYC and we would ride together in Marvin's class. It was a way for us to spend extra time together during the 2 months she was on this side of the world. 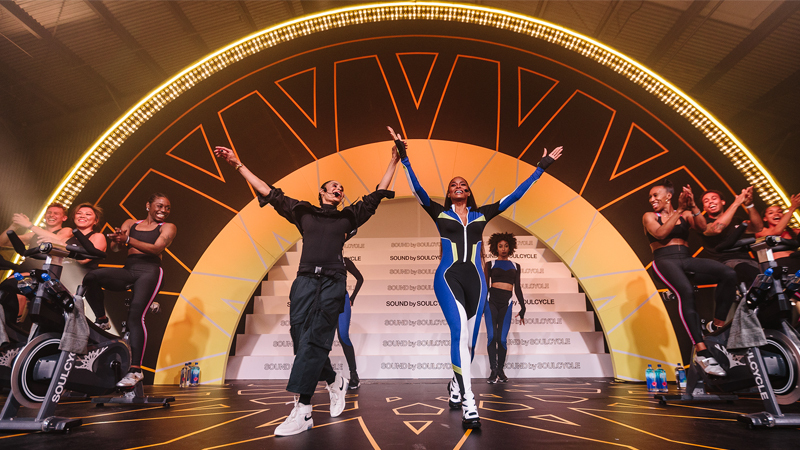 Being an ex-dancer myself, I felt instantly drawn to Marvin's rhythmic style and immediately found my SoulCycle niche. My first ride was entirely weird. That's all I can say. It was like nothing I had ever felt before and by the end of class I think I sort of understood what the concept was all about. Many months lapsed until my next ride which was with a co-worker who begged me to try it again. We took Kym Perfetto's class and that's when it all clicked: The energy in the room was electric and I could not wait to return! Finding those instructors that were entirely "me,” the ones who reminded me of my background in dance, particularly Trammell and Marvin. I've been riding religiously with Trammell for the past year at SoulCycle Chelsea every single week. I have never pushed myself harder in any class and felt more at home with the community he has created in that studio. I'm currently 34 weeks pregnant and I'm still riding front row sidebar with him! There's a group of us there every single Tuesday and Thursday at 9:30 AM and they have been there with me this entire journey, pushing through that not-so-fun first trimester, gaining back my energy in the second, and now powering through in the third. This little bambina is going to come out dancing on her very first day in this world! SOUL had been an integral part of my fitness routine for a couple of years at this point. There is not a week that goes by where I don't take class. Even on days where I'm low on the motivation scale, I know once that beat drops on the first song, I have always made the right decision to clip in. I can't imagine getting through my pregnancy as healthy and strong both physically and mentally as I have been without it. Do you have any favorite rides? My birthday ride! 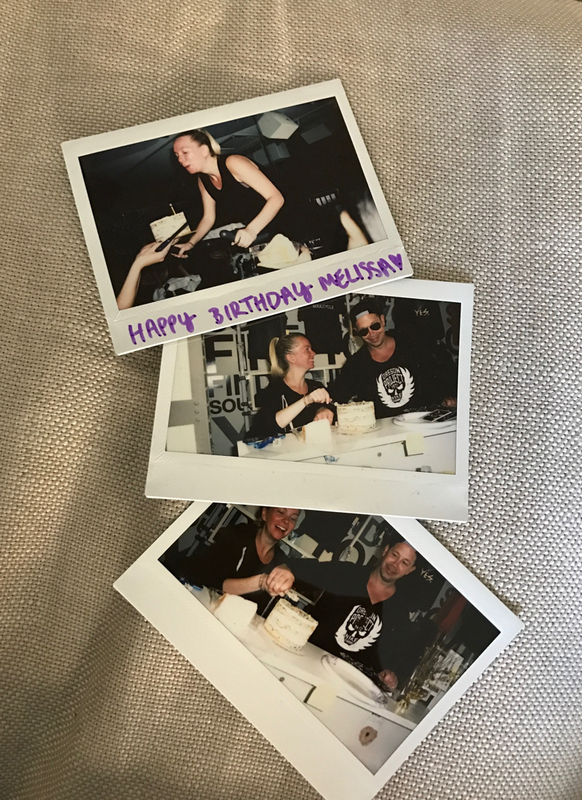 I had my friends and my husband there with my SOUL CHELSEA fam to celebrate and Trammell put a 7-and-a half-months pregnant gal up on the instructor bike… definitely a moment to remember! Anything you want to add! Yes! 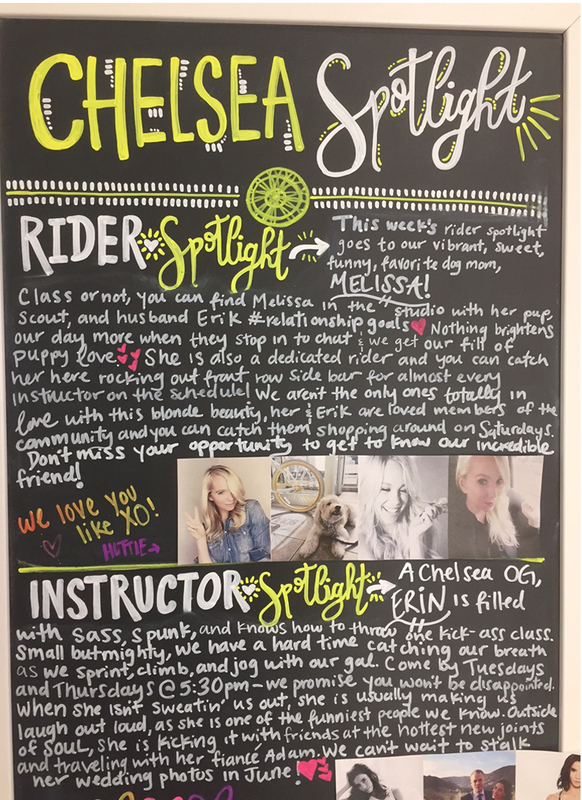 Besides the incredible instructors and amazing classes, I want to share some serious LOVE for the SOUL CHELSEA studio. They are such a family, making everyone feel welcome and part of the community. 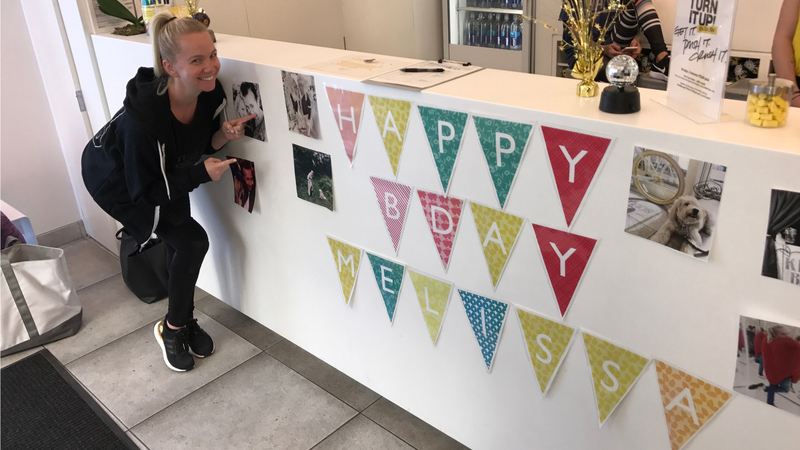 I've never felt more at home than in any other fitness studio in my 14 years of living in NYC. 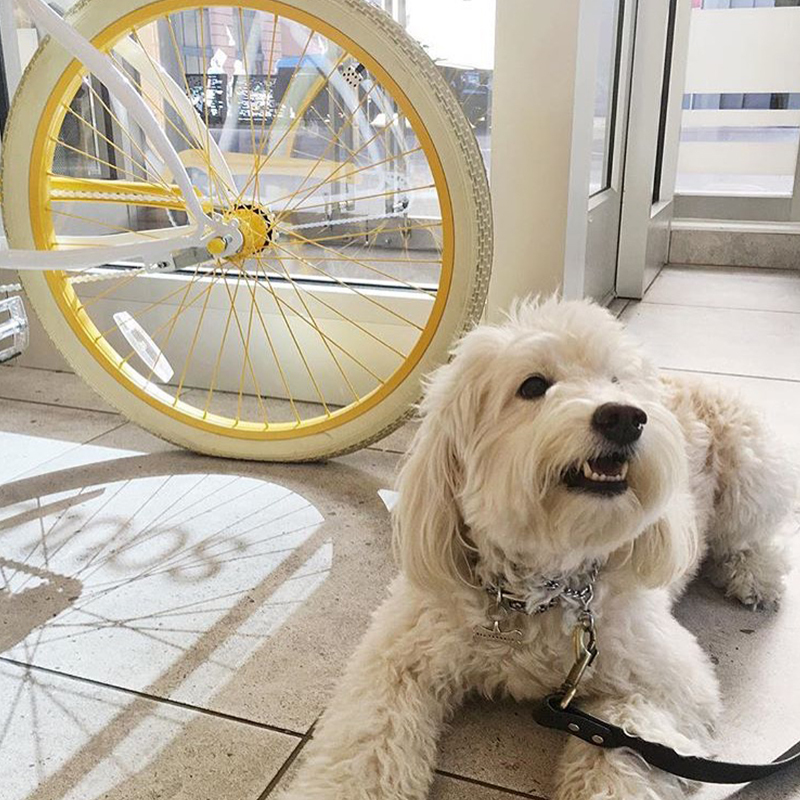 Whether I'm there to ride or just to pop in with my dog, Scout, on our walk to give everyone at the front desk a little bit of SOULPup love, it's one of my favorite places that has become part of our neighborhood. Noelle, Lindsey, Sam, Jenna, Ethan, Morgan, Maggie, Alex, Chelsea (hope I didn't forget anyone! )… you are all true SUPERSTARS. Do you have a SOUL Story to share? 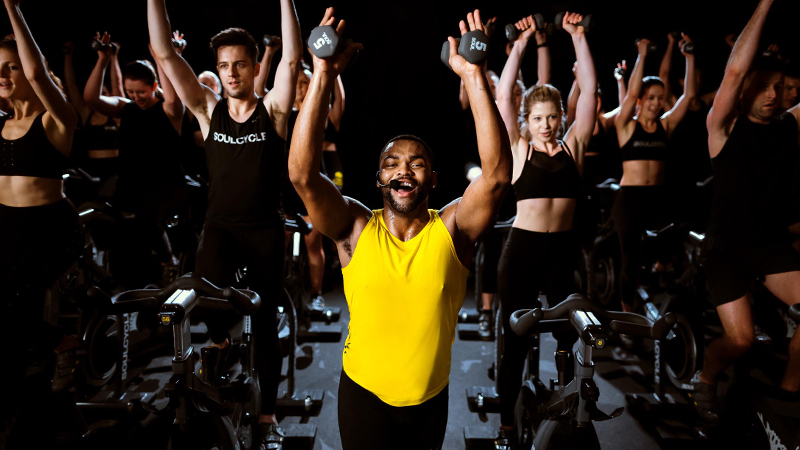 Email SOULlife@soul-cycle.com. Want to ride? 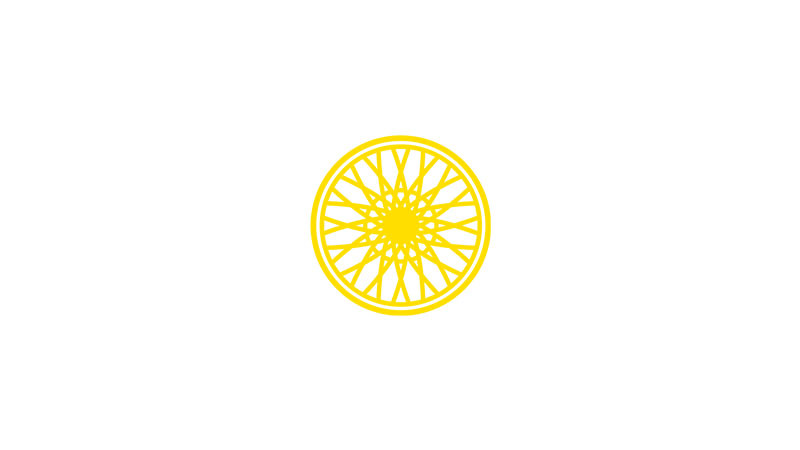 Click HERE to grab a series and book a bike.